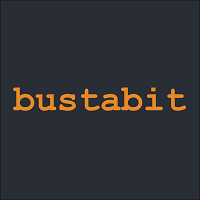 Bustabit is one of the more original bitcoin betting sites you will come across in the online casino world. The domain isn’t quite an online casino, and it is more like a single game than anything else. 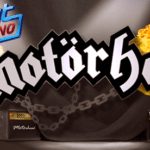 Previously known as Moneypot, this challenging game has seen over 146 million bets placed, with over 420,000 bitcoins wagered, and has an maximum pay-out of 37.5 BTC. 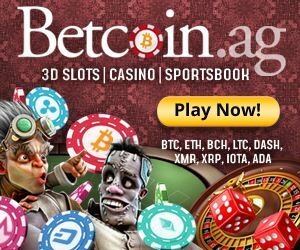 Betting limits in this game range from a low of 0.000001 BTC, up to 1BTC, and gameplay is only available in English, but is available to players based almost anywhere in the world. 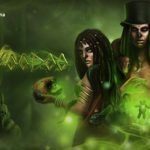 So, with the introduction out of the way, what can we tell you about the Bustabit game itself? There is only one game to play at Bustabit. Players are basically wagering against a pot of money, used by the “system”. The basic idea is that you make a bet, and watch as multipliers rise high. Players can cash out on multipliers at any time, but if they do not do so before the game crashes, they will lose their bet. At least, that is the most simplistic way to explain it. It certainly seems logical enough, but how can that be profitable for Bustabit? Their social gambling game features a multiplier which moves very quickly, and it drops as well as rises. Special bonuses can be dished out to players surviving long enough in the game, and cashing out immediately before the crash, so many players choose to stay in – eventually losing as the game crashes before they withdraw. Bustabit had a little problem in the past with proving that they were not fixing the system, but now a fair play certificate has been announced, proving that the game is legit, and fair on all. Should the game crash at 0x, all bets will be refunded (there is only a 1% chance of this happening). It might seem simple, but this is actually a learning game, and there is a very complex formula behind it, so when you start playing it, if you are not careful and don’t do your homework, you can be behind rather quickly. It is important to remember that this is a very small-scale game, so multipliers won’t make you a millionaire. 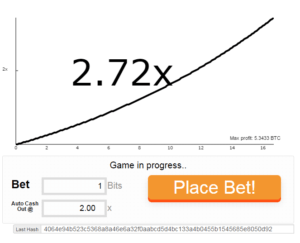 The pot is privately funded by the game’s creator, but as more players decide to try their luck on this game, the pot size should increase in the future (via larger multipliers). Bustabit only allows you to deposit using bitcoins. Generally speaking, one you have made a transaction to your Bustabit account, you should receive your in-game credits within 10 minutes. Players can withdraw bitcoins to any bitcoin address, and smaller transactions are processed instantly, whilst any larger ones could take up to 24 hours to be processed. There is a 100 bits free for any withdrawal, although that works out at just $0.05 in total. All withdrawals must be made in increments of 1 bit (100 satoshis), and must be worth at least 200 bits. There isn’t much in the way of customer support over at Bustabit. A very lengthy and extensive FAQ guide can tell you all you need to know about the game, but you won’t really be able to rely on any kind of customer services team to help you out. As we’ve said, this social gambling game is a one-man effort. Considering that this is a solo-project, one has to be immensely impressed with the design of Bustabit. It isn’t an online casino, and the only game you can play is the titular one; but, if you are in the mood for something wholly new, and totally original, then spending your bitcoins on Bustabit could be an ideal afternoon for you. >> Join Bustabit game now!